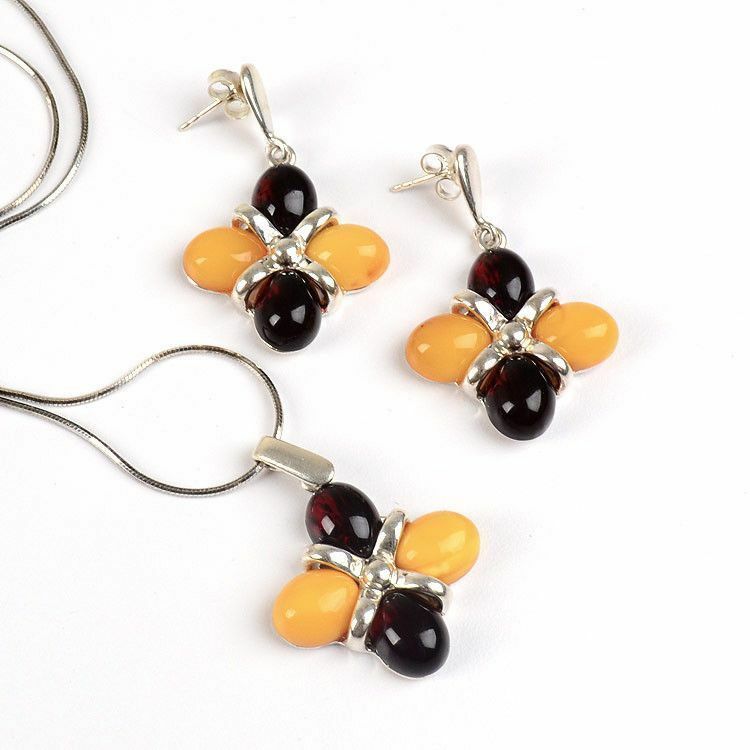 This unique and very rare multi-color amber jewelry set is a wonderful display of Russian artwork. 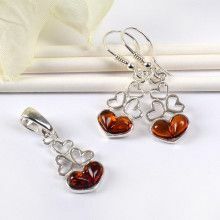 It is a 3 piece set: pendant and earrings. 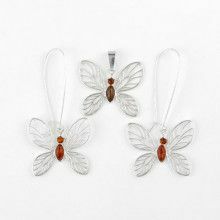 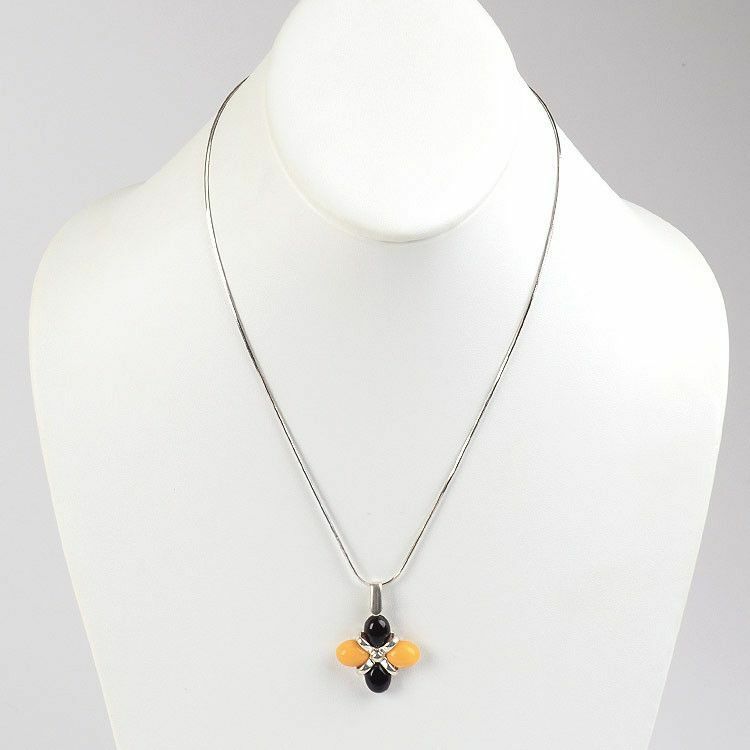 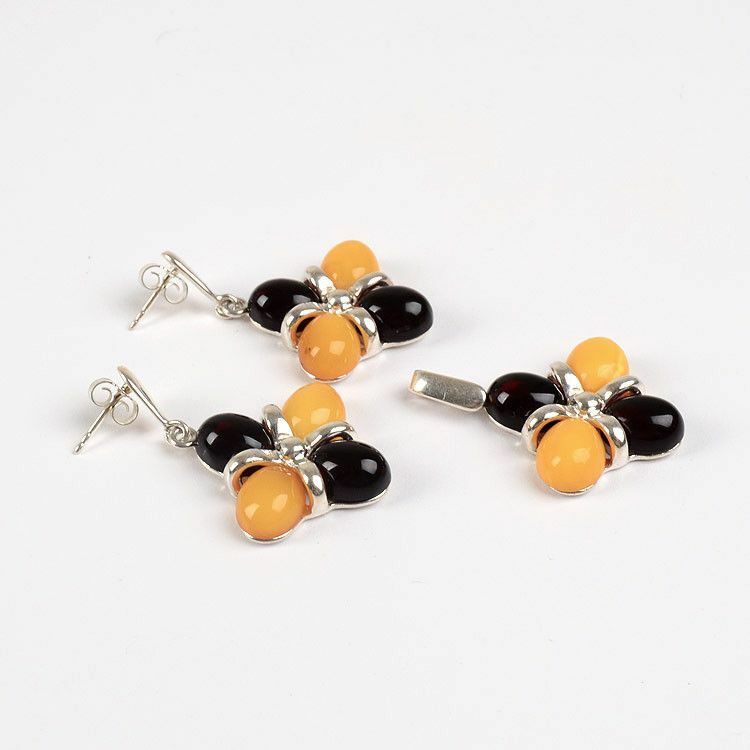 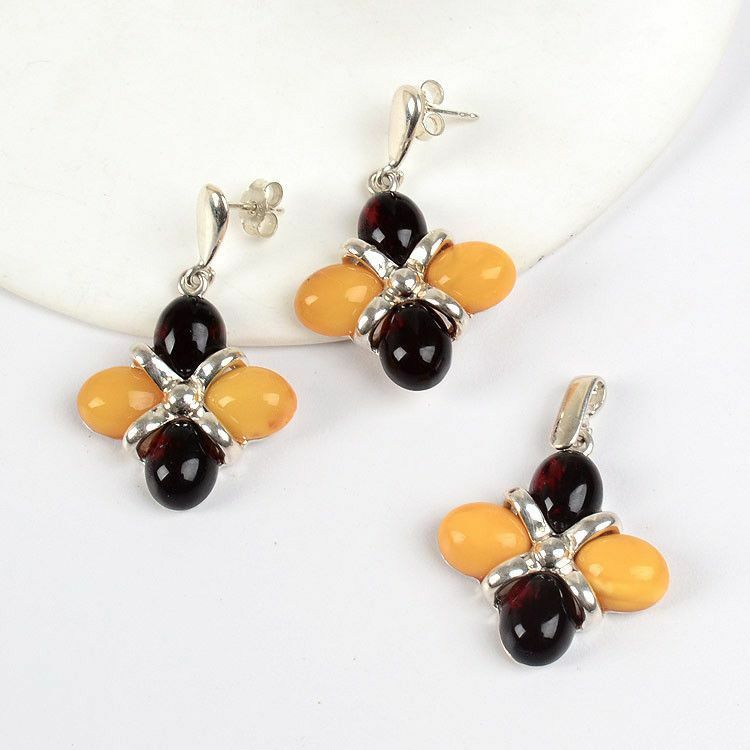 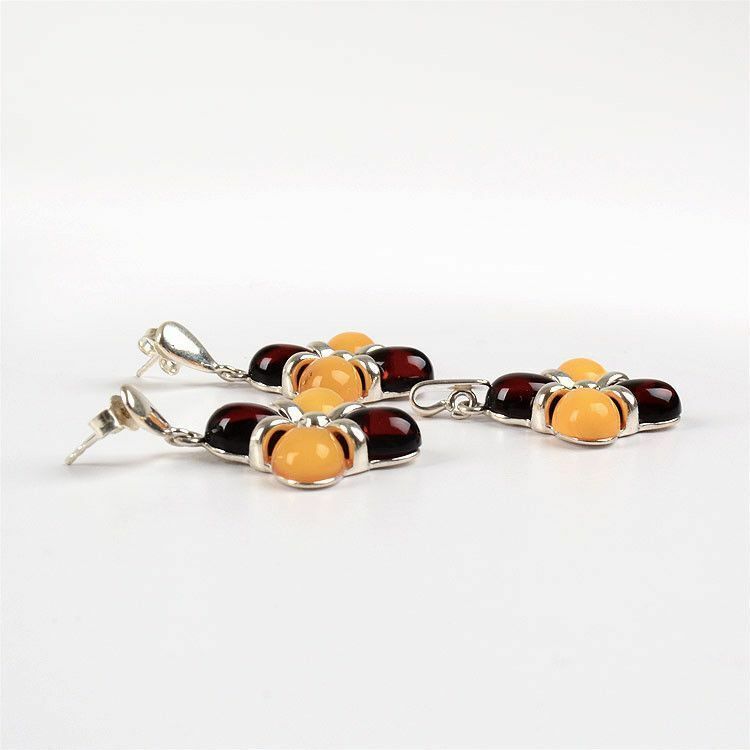 It features beautiful butterscotch and cherry colored amber stones. 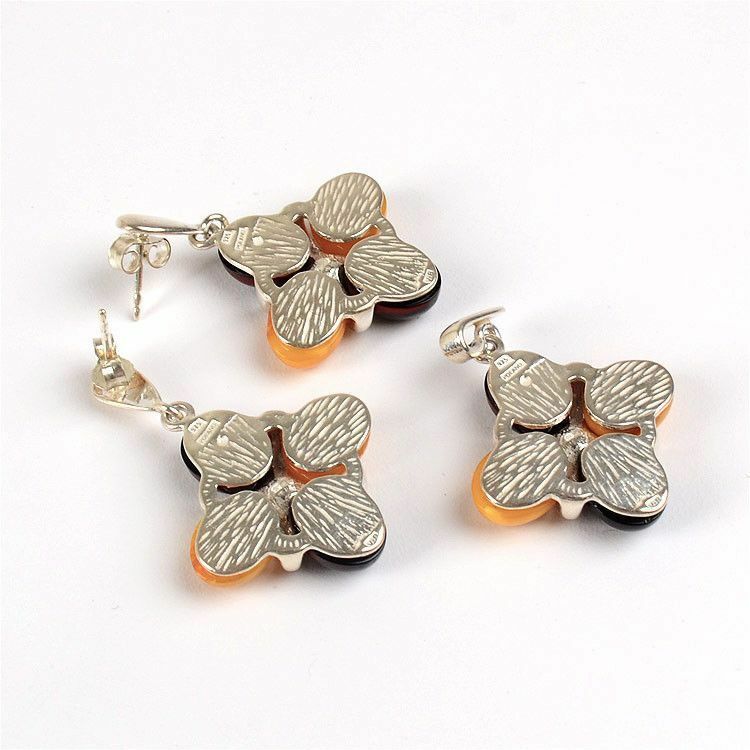 The pendant measures 1 1/2" x 1", and the earrings are 1 1/2" long each.